Apple announced two new iPhone models at its media event on Tuesday and AppleInsider was on the scene for first hand look at the devices set to roll out on Sept. 20. 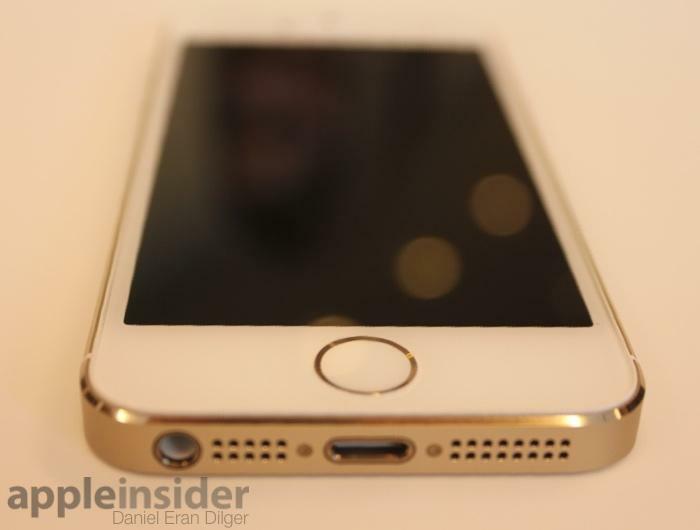 The iPhone 5s' aesthetic remains largely unchanged from last year's iPhone 5, with only minor design tweaks coming by way of new functionality like the Touch ID fingerprint sensor and dual-LED flash. Dimensions are identical to the outgoing flagship handset, though we were once again surprised by the device's heft, or more specifically lack thereof. 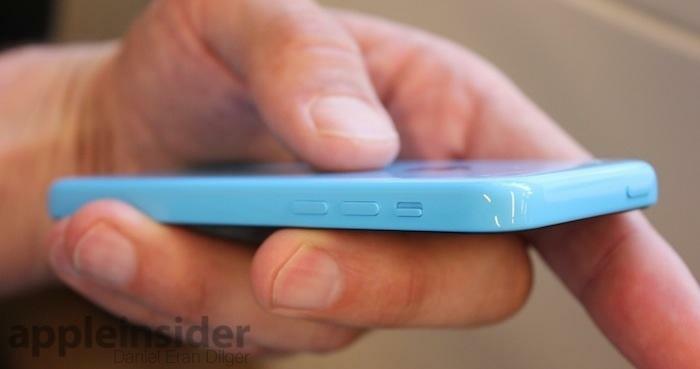 While light in the hand, the structure is just as solid as the iPhone 5, with similar button and switch feel. As for the integrated fingerprint sensor, dubbed Touch ID, the module isn't obtrusive and blends in nicely with the iPhone's sleek lines. The home button's familiar square icon is gone, replaced by a blank sapphire covering that is encircled by a stainless steel ring used to detect finger contact. AppleInsider's predictions as to the importance of the metal ring, made last week, were confirmed with today's announcement. The home button is almost flush with the unit's faceplate, though the steel ring is slightly beveled, possibly to protect the sapphire cover from being scratched. 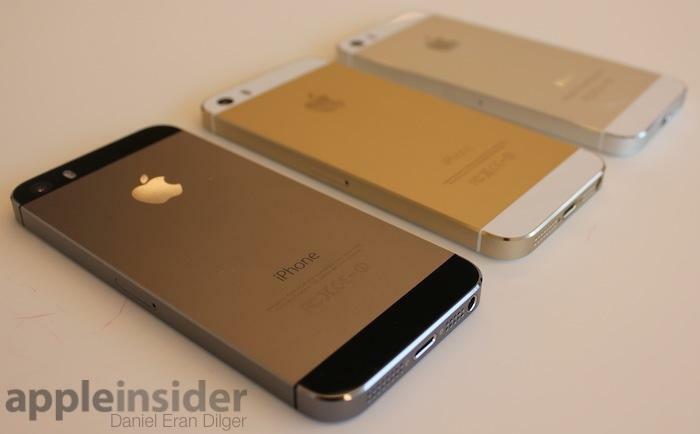 Apple introduced two new colors with the 5s. The much rumored gold hue is actually more subtle than in person and at some angles can be mistaken for silver, as seen above. 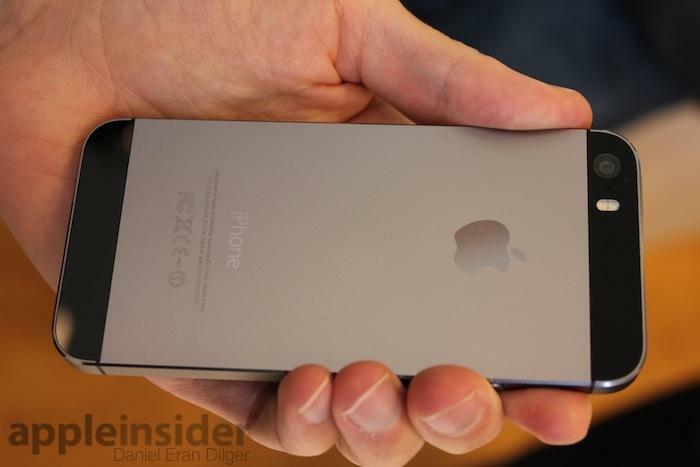 A new "Space Gray" version takes the place of "Slate and Black," offering a shade closer to gunmetal than jet black. The silver color option is unchanged from last year. Perhaps the biggest news to come out of the event was the addition of a completely new tier to the iPhone lineup in the iPhone 5c. Although it boasts a shell made of polycarbonate, the 5c felt extremely solid and substantial in our hands; it didn't feel "cheap" or "plasticky" as some feared. The casing is shiny, as can be seen from the pictures, but not overly polished like some other handsets on the market. Coloring is vivid and serves as a nice contrast with Apple's iPhone 5c cases, which will be sold in a variety of complementary colors for $29. 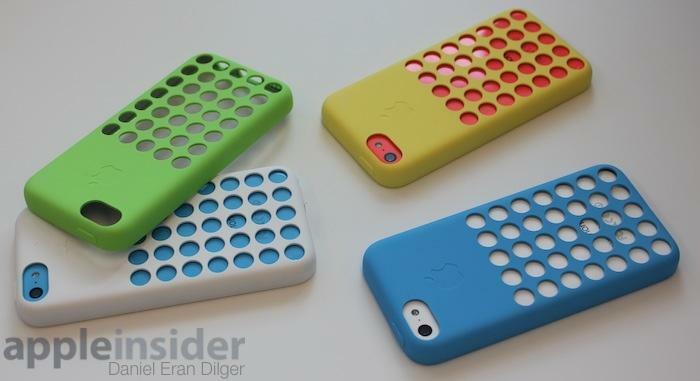 We noticed that the silicon cases had more of a matte finish compared to the 5c's shell. 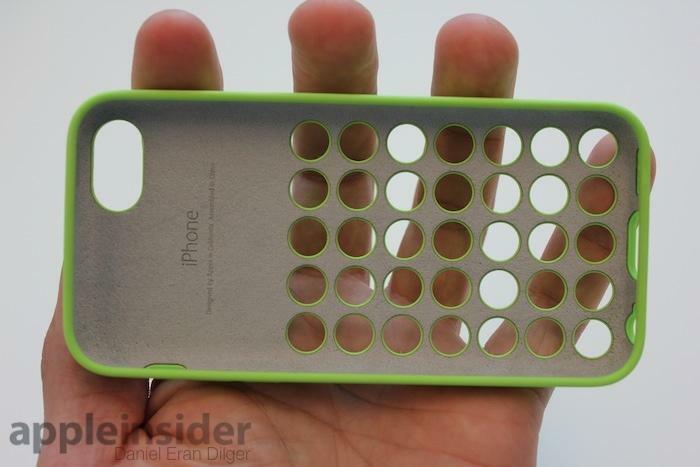 Inside the optional case is a microfiber cloth lining to protect the shiny finish from scratches. 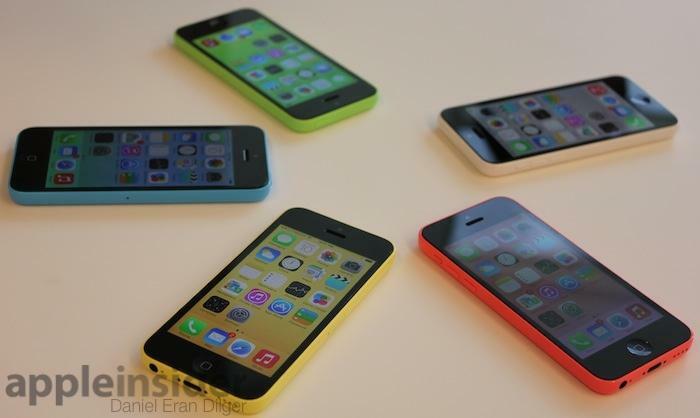 Preorders for the iPhone 5c will commence on Sept. 13, while the iPhone 5s will be available to purchase on Sept. 20.